What if we embodied a new way of being in the world? What if we lived from love rather than from fear? What if we based our interactions on our shared humanity rather than on differing concepts? What if we recognized that every perspective has a piece of the Truth and no perspective has the whole Truth…and what if we listened with curiosity to hear the pieces of Truth? What if our realization of interconnectedness made an evolutionary difference? How would the world be different, then? we can hold the perspective of the totality as well as each single entity. Are you ready to wake up to other ways of viewing, being with, and existing in the world? Are you ready to accept the challenge of exploring your own worldview assumptions? 2020 Dates & Location coming soon! Please note: The information below concerns our 2019 retreat. We will update for 2020 soon! The intention of this retreat is to offer a safe container for participants to experience deep connection with ourselves, each other and the world. Through this connection, we become more aware of interbeing and attunement. Through consciousness of interbeing, we realize a sense of unity in diversity. We discover that curiosity and compassion naturally arise, we feel more fully alive, we access more of the totality of our being, and a new way of relating evolves. Read "So We're Interconnected...So What?" 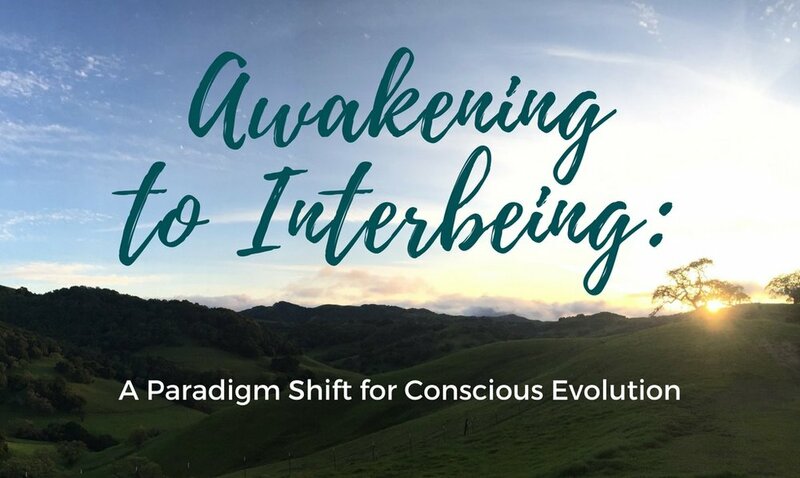 “Awakening to Interbeing” is facilitated by four experienced teachers, Marianne Rowe MS, LMFT; Katie Dutcher, MA; Jennifer Edwards, MA, LPCC, BC-DMT; and Patricia Wolff, DC, MFT. We offer perspectives from wisdom traditions, shamanism, mindfulness, psychotherapy, neuroscience, and nature therapy. Commonweal is defined as the "happiness, health, and safety of all of the people of a community or nation; the common welfare; the public good." Commonweal Retreat Center is a nonprofit center for service and research in health and human ecology located on a beautiful 60-acre site at the edge of the Pacific Ocean in the Point Reyes National Seashore. Walking trails, natural elements, and a labyrinth are just a few of the contemplative environments to be found on the grounds. Marianne and Katie share about this special place: Commonweal Retreat Center in Bolinas, CA. The main hub for our activities will be Pacific House, beautiful and historic, which sits on a bluff overlooking the Pacific. Registration fees include lodging in your own room, with a shared bathroom. If you share a room and double bed with a partner or friend, costs per person are $1000 before December 1 and $1100 after December 1. Local, seasonal, organic meals and snacks will be plentiful. Our caterer, Claire Heart, visits the farmer's market to find the best of what's in season, and offers each meal with love. Meals will be buffet-style, and snacks will be on offer throughout the day. Participants are responsible for their own transportation to Commonweal, arriving on Thursday, February 28, at 3:00 pm and staying for the duration of the retreat, departing at 12:00 pm on Sunday, March 3. Commonweal is located in Bolinas, California at 451 Mesa Road, Bolinas, CA 94924. Guests at Commonweal should prepare for dramatic changes of weather at almost any time of year. The winter may bring frequent rain, and this coastal site is often windy. We suggest warm, layered clothing and good walking shoes so you can enjoy the extraordinary resources of the Point Reyes National Seashore. This is a place for people who enjoy the isolation and accept the occasional inconveniences of a rural retreat center. Marianne, Patricia, and Jennifer discuss shifting our narrative and moving into a place of connection. Jenn offers a short meditation and teaching on noticing the perceptions and stories that we create.